ASOS ankle boots (last worn here). I've been totally obsessed with the color RED as of late, and these shoes (my latest purchase from ASOS, which I sadly think are sold out) are 100% to blame. From bright reds, to more tangy orange versions, to the deepest burgundy shades, I'm fully embracing the color... so expect to see a ton of it on me in the next few weeks, unless Micol somehow intervenes. Given my new obsession, it's only natural that I adore this dress, as the original plaid print incorporates just about every shade of red that could possibly exist. I also love seeing a plaid print used on something besides a button down shirt, and elevated with a flirty lace trim. Micol commented that it's a bit mini on me... but with a pair of shorts tossed on underneath I didn't feel so bad. nice look, the boots are too cool! Those booties are major and I adore the jacket - great outfit! I love your shoes and jacket! Whoa...amazing outfit! I love the red plaid and your matching shoes. so very hot! I love this look on you! This photography is stunning! I am in love with your hair! You have gained yourself a new follower! 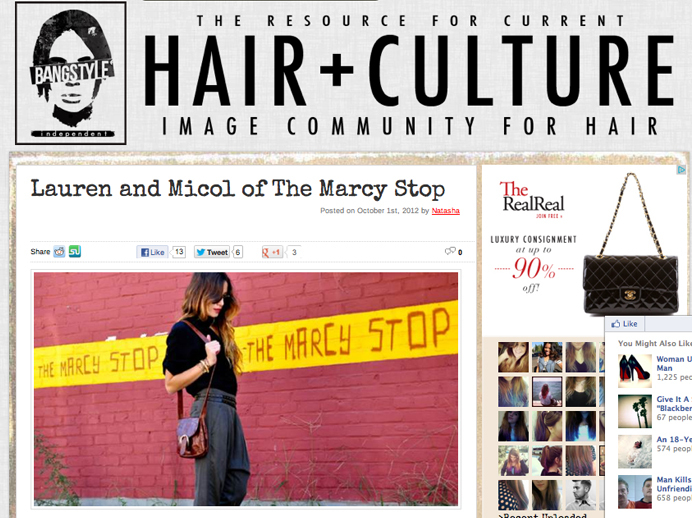 great blog great look! so stunning. will be great if we wanna do follow. Great outfit! wanna follow each other? :) Let me know! WOWWW!!!! I truly love your style! Amazing look! The dress and the jacket are just perfect! I love them! You look so cool, I love that dress, love the lace detail. i love the colours of this outfit..the dress is amazing! i love the cute boots"
I'm really parcial to red lately myself, too! So I love your booties, actually I love your entire outfit! superrrr cute!!! great shoe purchase! thanks for the sweet comment- following your blog now too!! red is always a good color for autumn. I just read your girls' interview on bangstyle.com...great stuff! It's fun to hear about your process behind the scenes and how the blog got started. Honestly the red one looks really nice, I have a similar one and it goes with a lot of things. I feel like the navy and white shirt won't be as easy to style.